“BP Portrait Award: Next Generation 2012” at the National Portrait Gallery. “BP Portrait Award: Next Generation 2012” was an attention-grabbing side project. “BP Portrait Award 2012” closed with great success and it has seen many extra activities, including the “BP Travel Award”, “BP Visitor’s Choice” and “BP Young British” award. Besides, part of the first prize for winning the BP Portrait Award is a “Commission” to paint a portrait that subsequently enters the National Portrait Gallery‘s collection. 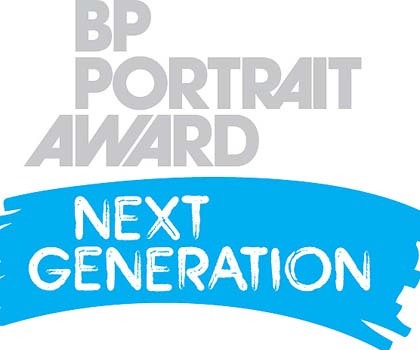 “BP Portrait Award: Next Generation” is dedicated to young people. Inspired by the London 2012 Olympic Games and Paralympic Games, “BP Portrait Award: Next Generation” is a stimulating three-year project opening up free opportunities for 14–19-year-olds to engage with portraiture through the “BP Portrait Award”. Encouraging young artists of the future, from first time Gallery visitors to those who want to make art their career, “BP Portrait Award: Next Generation” connected them with other young people interested in portraiture and past “BP Portrait Award” winning artists. In 2010, over one hundred young people from across London, including the five 2012 Host Boroughs, and over twenty BP Portrait Award artists took part through a series of short Taster Sessions and three-day Summer Schools. Each year, there will be different ways to meet practising artists, explore the BP Portrait Award and create your own portraiture from short Taster Sessions to a more intensive experience in Summer Schools. Digital content is a new way to get involved in “BP Portrait Award: Next Generation”. Participants can use online resources to display and share their portraiture talent. Visitors can go behind the scenes to hear about what it’s like to be in the BP Portrait Award in video interviews with artists filmed by young people, and vote in the online portraiture polls. Sponsored by BP, “BP Portrait Award: Next Generation” project is part of the Cultural Olympiad and London 2012 Festival. The Games were about just sport, but “BP Portrait Award: Next Generation” will leave a lasting legacy for young people and will hopefully help discover the young artists of the future. The Portrait Award, now in its 33rd year at the National Portrait Gallery and 23rd year of sponsorship by BP, is a highly successful annual event aimed at encouraging artists to focus upon, and develop, the theme of painted portraiture within their work. The winner of the “BP Portrait Award 2012” first prize was the American painter Aleah Chapin. The “BP Portrait Award 2012” received 2,187 entries from 74 difference countries. At the National Portrait Gallery, St. Martin’s Place, London. « The Frieze Art Fair London 2012 Stand Prize went to Vitamin Creative Space.